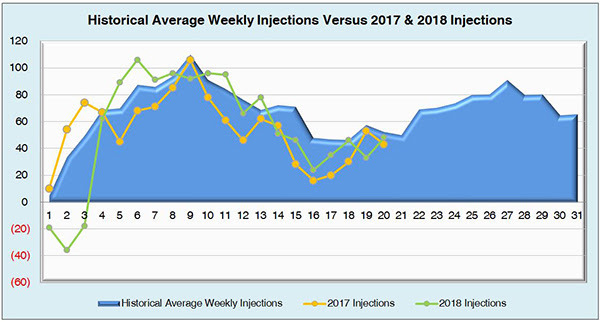 This week’s injection proved to be unremarkable as the market expectation and reported net change both ended up resulting in 48 Bcf put into storage. 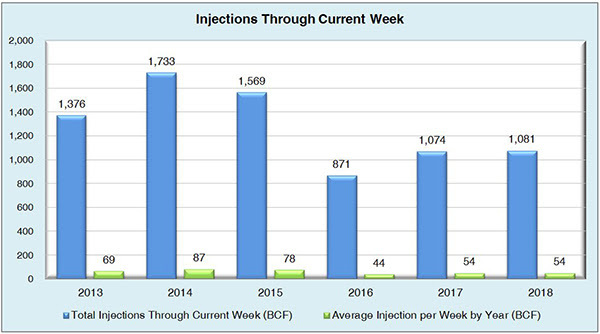 Not only that, but this build also mostly fell in line with last year’s injection and the five-year average for the same time period, coming in at 45 Bcf & 52 Bcf respectively. The storage picture isn’t expected to improve much despite the August production average of 81.6 Bcf/d holding strong. As for the inventories going into withdrawal season, estimates are beginning to show a potential 15 year low of 3,249 Bcf at the end of October. 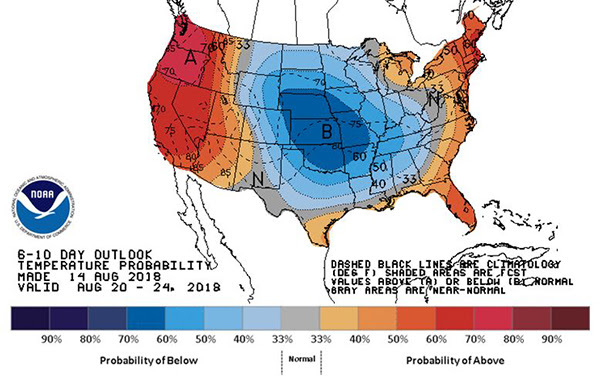 Winter month strip prices (December, January, and February) are already reflecting an average of over $3/MMBtu, so the expected storage inventories are already influencing what could be a bullish winter ahead. 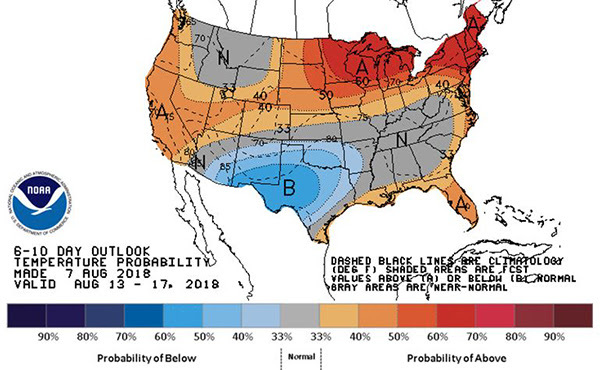 Regarding weather, extended heat is expected during the beginning of September, and that could continue to widen the already notable storage deficit against the five-year average. 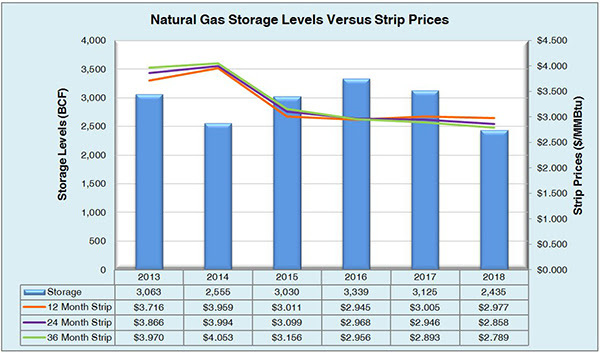 Working natural gas in storage currently stands at 2,435 Bcf, which is 684 Bcf (21.9%) lower than this time last year and 599 Bcf (19.7%) lower than the five-year average. The September 2018 NYMEX Futures price began the day around $2.95/MMBtu prior to the report’s release, but has since slightly increased to $2.96/MMBtu after the report was posted.